Burke, H F, Gow, H V, Cripps, C, Thorpe, S, Hough, E, Hughes, L, and Horabin, C G. 2016. 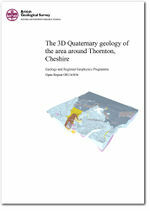 The 3D quaternary geology of the area around Thornton, Cheshire. British Geological Survey Internal Report, OR/16/056. This page was last modified on 16 March 2017, at 12:31.